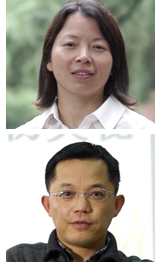 Two teachers from the Verakin School of Chongqing, China – each with 20 years of teaching experience – have recently contributed new lessons to the BLOSSOMS online library. High school chemistry teacher, Shurong Huo, has created a lesson that leads students through an exploration of the structure and workings of batteries by engaging them in a series of hands-on experiments. Middle School biology teacher, Xueyang Meng, explains how plants absorb and lose water through a lively examination of Kimchi, a popular spicy, pickled cabbage dish eaten in China and Korea. Watch Ms. Shurong’s lesson Batteries: The Wings of Modern Technologies and Mr. Xueyang’s lesson, The Biological Mysteries of Kimchi: Examining How Plants Absorb and Lose Water. Both lessons will be available in English in a few months. Starting in January, 2017, BLOSSOMS will begin a two-phase collaboration with the Atlantis Charter School of Fall River, Massachusetts. This school, one of the longest-standing charter schools in the state, is currently in its 20th year of operation and serves 900 students in kindergarten through ninth grade - with the goal of having a full high school by the 2017-2018 academic year. During Phase One of this initiative, BLOSSOMS will work with the school’s high school Teacher Development Academy to train Atlantis teachers on best practice elements of the MIT Blossoms “teaching duet”, active learning pedagogy and online video modules. One unique aspect of this collaboration is that it will also involve Atlantis high school students who aspire to professional careers in Teaching and Learning. During Phase Two, a group of Atlantis high school students will work to develop their own BLOSSOMS-type STEM video lessons. Follow-up research will be conducted on the impact of this inititiavie on both high school teachers and students. MIT BLOSSOMS is working closely with university professors, post doctoral students and high school teachers to develop lessons that align closely with the Next Generation Science Standards (NGSS) as outlined by the Educators Evaluating the Quality of Instructional Products (EQuIP) Rubric for Lessons & Units: Science. Over the coming months, BLOSSOMS will introduce many of these lessons, including one on the Gas Laws by an MIT professor, one on Correlation versus Causation by an MIT post doctoral student and one on Projectile Motion by a Rhode Island high school teacher - among many others. At BLOSSOMS we are hopeful that by following the EQuIP review process, these new lessons will be made more rigorous, engaging and ultimatley more informative and valuable for teachers. Check back for them in coming months! MIT BLOSSOMS' partners at the Center for Teaching and Learning at the Universiti Teknologi Malaysia (UTM) have been nomiated for the 2016 edition of the UNESCO King Hamad Bin Isa Al-Khalifa Prize for the Use of Information and Communication Technologies (ICTs) in Education Prize. Since 2005, this Prize has recognized innovations in teaching and learning that leverage technology to improve educational outcomes. The UTM-MIT BLOSSOMS Initiative has been nominated for “Giving Students Access to Excellent Teachers and STEM Learning Experiences.” BLOSSOMS has partnered with UTM colleagues since 2012, and Malaysian educators have contributed thirteen video lessons to the program’s online lesson repository. In addition to making video lessons, the UTM-BLOSSOMS partners have introduced the active learning, inquiry-based BLOSSOMS pedagogy to teachers throughout the country. Two prizes will be awarded on 21 February 2017 at a ceremony at UNESCO Headquarters in Paris. Winners will receive 25,000 USD each and a certificate of recognition. Tanzeela Ali works as a Software Engineer for i2n inc in Lahore, Pakistan. She is also serving at Superior University in Lahore as a visiting faculty member where she teaches courses related to programming, especially those related to JAVA. Syed Wasif Raza also works as a Software Engineer at i2c inc, and his areas of interest for research are Computer Vision and Machine learning. Mehak Ali is a student of Information Technology, currently studying at Punjab University College of Information Technology. Their lesson, “Out for Shopping: Understanding Linear Data Structures,” is designed for students just learning about data structures and will help them have a basic understanding of linear data structures and how to decide which structure will be more appropriate for a particular problem. You can watch the lesson here.